While Samsung isn’t exactly known for its blazing fast software updates, the stable Android 9 Pie rollout for the Galaxy S9 and S9+ has kicked off a little earlier than expected, at least in a few select markets around the world. 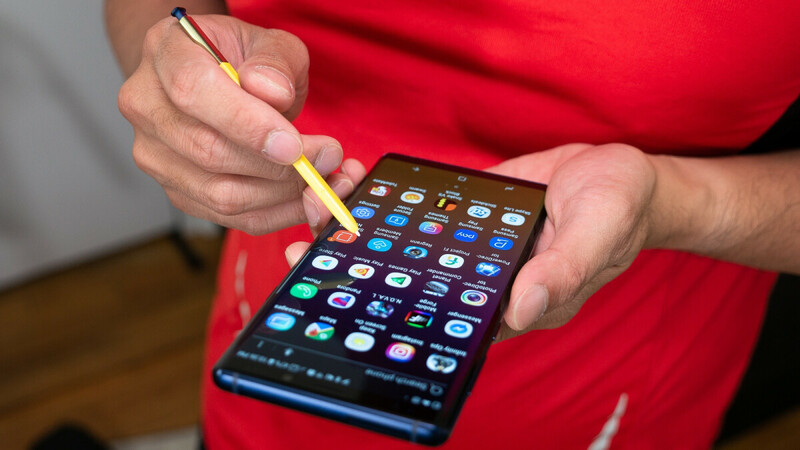 There are no prizes for guessing which of the company’s recent high-end phones is next in line for an official Pie-flavored One UI makeover, but even though Galaxy Note 9 users were told to expect the update in February 2019 just a few days ago, a different timeline might still be on the table. According to some freshly discovered information on a website officially linked to Samsung’s Turkish arm, the Galaxy Note 9 could follow the Galaxy S9 and S9+ on the stable Android 9 bandwagon as early as January 15. The OS revision is still in the testing stage, so the rollout date might be subject to change, but we haven’t heard much in terms of Pie-derived bugs and glitches on the S9 and S9 Plus, which is certainly good news for Note 9 owners. Obviously, even if the January 15 deadline holds up, a few more weeks will be needed for the stable Android P goodies to expand worldwide. Then, on February 15, the Galaxy Note 8, Galaxy S8, and S8+ could simultaneously receive their own over-the-air 9.0 software packages, at least in Turkey and a handful of other regions. That’s definitely an ambitious Android Pie release schedule, with devices like the Galaxy A8, A8+, A7, and A9 (2018) expected to follow suit in March or April 2019. Probably you didn't try an ios update ! At least we don't get update after update to fix the last update. It's probably unskinned, not nearly as feature packed as a Note, and doesn't have an S-Pen. Yep, that's something to lol about. Always a step behind? Not really... Make a list of Note 9's features that's not on Vanilla Pie vs list of Vanilla Pie features that's not on Note 9.. See which one is longer.. Very well said. He just doesn't get it. The Note 9 is king. But 100 steps ahead in features, meaning your next 3 updates won't get your device anywhere near the Note...now blah blah blah that. Nobody asked? Lol Dude, you're on a Note 9's article talking about your Nokia phone, and guess what, nobody asked as well. Exactly bro lol. He came looking for trouble, now he's all silent. That post needs to be retyped, made absolutely zero sense. Retype that one too, you left out some words. Do you want a cookie Oh, and i have had Dec security patch on my note 8 for awhile now, so whats your point. He waz trolling, but quickly got shut down. If you are talking to me, some of us have a life and don't set on are phones every second of the day. Which means the carrier versions will probably be this summer.